The Law Office of Thelma Sanders Clardy is committed to providing the highest level of quality legal services, with solutions tailored to each client’s specific needs. The firm prides itself on providing legal services that are ethical, creative, economically practical, and designed with achieving the client’s desired outcomes. By design, the firms confines its practice to specified areas of the law. 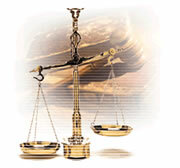 This helps to assure clients a high level of legal expertise, professional continuity, and accountability. The firm also provides a realistic and objective evaluation of the client’s needs and questions and strong advocacy of the client’s position. Outside the courtroom, our attorneys are active counselors in anticipating and solving problems related to changes in the law. This approach helps us to better meet our clients' demands. Thelma Sanders Clardy © All right reserved.